NSHB | New Super Hacker Bros.
is a special New Super Mario Bros. Hack made by NsmB_PrO and ray. 1. We edit most of the textures in the game. 2. 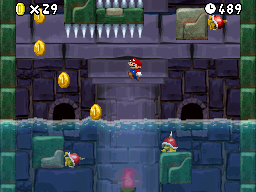 Both NsmB_PrO and ray have some great Level-Designing skills. 3. We Hack the Sound Data of the ROM. 4. We hack the more, the more we figure out. So please support us by subscribing our Youtube-Accounts and liking our videos. Keep up the good work! And also would you send me instructions to my email on how to make hacks like these.Thanks. Sorry, but there are no instructions. You just need a LOT OF TIME and creativity 😉 Thats all.